Your love stories are tattooed across my heart. Because this is more than just a job to me, it’s a calling - to connect with you, to understand the depth of your love for your people, to show you that you are enough and that you are loved in return, just as you are. Every session is an experience you will never forget, and at the end of it you’ll walk away with your love bottled in photographs that you can hold and cherish forever; long after those moments have been swept away by time. Continue scrolling, or click a link below. Every love story usually starts out the same - boy and girl meet, they fall in in love and get married. The beginning of the story and the end might be the same, but the journey that you take to get there is what really makes it a love story. And just like your story is different, so is your wedding! It’s going to have a beginning and an end, but it’s the bits in the middle that make it unique. Fine Art prints + albums. You can view some of my recent work at weddings by clicking this link. Tell me a little about you and your fiance and your wedding! Each pregnancy, and each baby is different, and a once in a lifetime event. You will soon forget what it felt like and looked like to be pregnant, and to hold your little one while they were so small. I love creating real and natural images that capture your little one just as they are - there are no gimmicky props, clothes or headbands with me. Instead, I work with a large selection of soft and neutral wraps and I take a very relaxed approach. Each session is about led by your baby, with a focus on capturing their natural movements, stretches and tiny details that make them who they are - perfect for those who want to want to remember all that delicious newborn squish. You can relax in my warm and cosy studio, and enjoy some alone time, or have a chat with me, while I look after your little one (for many of my clients, it's the first time they can truly relax after giving birth). I also work around feeding schedules to ensure your little one (and you) stay as relaxed as possible. And at the end of it? 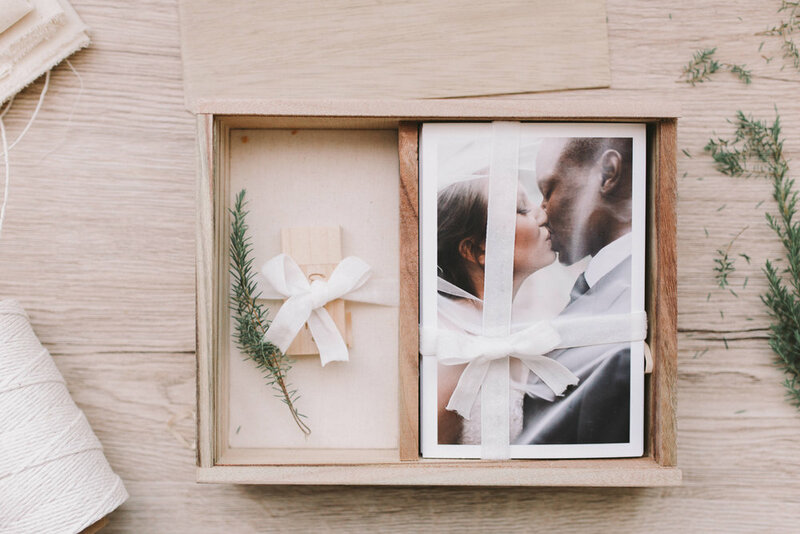 You'll walk away with real, honest and beautiful photographs that will melt your heart over and over and over for the rest of your life, every time you look at them. A welcome pack + session planning consultation. a 10% discount on all studio products. Within 2 weeks from your session you will receive a link to your online viewing gallery, and clients typically spend $500 to $2000 on a la carte products or collections. Collections start at $550 for prints and digital files, please contact me by hitting the button below for the full pricing and info guide. View my portfolio of work for bump sessions here, and newborn sessions here.﻿ I only take a limited number of bookings per month (usually 4-5 per month) to ensure that I can squeeze everyone into my calendar, so it’s best to book in as early as possible to avoid disappointment. When was the last time you were together, distraction free? When was the last time you were in the photo with each other, looking and feeling loved up and actually loving photos of yourself? Portrait sessions for couples and families are about more than just having your photo taken, these sessions are an experience to reconnect with each other, an opportunity to just focus on each other, playing and snuggling with each other; and my clients get so much enjoyment out of it. And at the end of your session? You walk away feeling incredibly loved up, and with a collection of images that are full of love, life and energy and that will help you remember not only what your love looks like, but what it feels like. Your session fee include your session (60 to 90 minutes long) + welcome pack + session planning consultation. Your online viewing gallery is available within 2 weeks from the date of your session, where you can purchase digital files and preserve your photographs in prints, frames, albums either a la carte or purchase a Collection. All collections include digital and printed files, and start at $660. Tell me a little about yourselves and why you are looking for a photographer! Shoot me an email, and I'll send across my full pricing and info guide to you, for the type of session you are interested in. Then all you need to do is let me know what kind of package you are interested in, as well as your preferred date! I'll then send over a personalised quote, invoice and questionnaire for you to complete, and once that's done and I've received your deposit/payment we are locked and loaded and ready to go! All that is required to reserve your session is a booking fee of $220 for portrait sessions, and $550 for weddings. Payment plans are absolutely available upon request. All of my wedding clients receive the option to pay via installments to make things more manageable financially and to help your bank balance sweat less. For couples, maternity, newborn and family shoots, payment plans are available however no products or digital files are released until your invoice has been paid in full. My studio is located in west Melbourne (about 15 minutes from the Westgate Bridge). Studio newborn sessions, and client meetings to discuss prints + albums are by appointment only. Do we get digital photos? Absolutely, all my packages include digital images in a high resolution for printing, and in a web resolution for easy sharing on the web. Your images will be delivered via an online gallery, which also acts as a store to purchase additional digital prints and albums. Of course! I just ask that you don't crop, edit or add any filters to them, since I've already done all of that for you! And I'll love you forever if you either tag me, or give me photo credit! For family sessions and weddings - you should book as soon as possible! My weekend slots are prime real estate, and tend to book out pretty far in advance. All you need to do to secure a spot is pay a booking fee of $220, and the balance can be paid closer to the date. Weddings are usually ready within 3 - 5 weeks after the wedding day. Portrait galleries are usually available within 10 business days (however this can be longer during wedding season and if so I will advise you). Ummm - I looove to travel! Where are you based? I will keep my travel costs as minimal as possible for you. However newborn sessions are held in studio only, to ensure consistency in my style and that you have the best experience possible. Do we get THe RAW images, and every photo from our session? Thankfully I don't get asked this very much, but I do not release RAW images EVER. A large part of my business and my brand is in the way I edit photos, my clients hire me because they like and connect with my style. Releasing RAW images is too much of a risk, because it allows other people to edit photos I have taken, or even worse - I would hate for you and others to see unedited images hanging on your wall, only because they are like the rough draft of a novel - unfinished. I would take no pride in seeing them hang on your walls because they are not finished pieces of art; and it would also be confusing for people to see those images, and be referred to me only to see them edited differently than what is hanging on your walls, which would be damaging to my brand. Your photos are always edited loosely, the only images I remove are images where someone is blinking, making an awkward face, are duplicates of the same image, or are technically flawed. You get everything else! Please be assured that I am not sitting on images that you might love. Yes Please - I want more info! Thank you! If you haven’t heard from me within 48 hours please send me a follow up email at hello@lecindaward.com.au in case something’s gone wrong! Thank you for being so easy to get along with! My family assumed you were one of my good friends, as you fit in with everyone straight away. You made everyone feel at ease and were great to joke around with. My parents want to adopt you by the end of the day! Where do you stand? We all live on our iPhones these days, so it wouldn’t surprise me if you said you just wanted digitals. memories as often as you like, wherever you like. But what happened if your hard drive was destroyed? Someone stepped on your USB? What if ‘the cloud’ malfunctioned, and you lost everything? They’d all be gone. Sure, you could contact me for another copy, but what if it’s ten years down the track, and I no longer have a copy of them. What would you have left? The thought of your beautiful photographs being buried and trapped inside USB’s, external hard drives and clouds whose access passwords we probably forgot; I can’t lie - it breaks my heart! I also believe that you should have the freedom to print your files over, and over, and over again. But even if you have good intention to print your images, it can be one of the first tasks to end up on the bottom of your priority list. And what happens when you love all the images from a session and you can’t fit them all on the wall? It makes me so sad when my amazing clients fall into this trap – you have made an investment and we’ve captured wonderful images that capture everything about your family, only to leave them gathering dust on your hard drive, buried in with the thousands of other photos on your computers and smartphones. 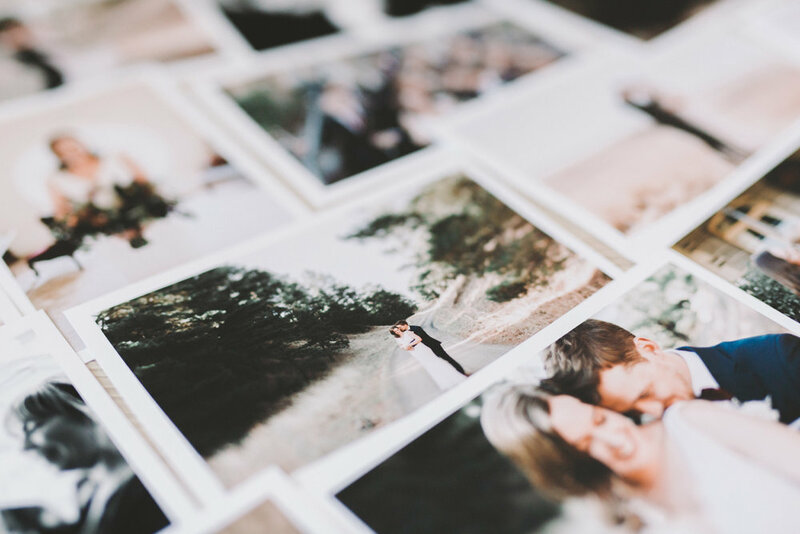 These photos are an investment, in your family, and in your love; and your photos are meant to be touched, celebrated and loved for many, many years. You also wouldn't be alone right now if you are thinking ‘Well now I’ve got these amazing, professional photos taken, they should print fine anywhere!’ Sadly, having access to such high resolution images still does not guarantee the quality of prints obtained through budget labs. They will of course be of a higher quality than iPhone photos, but they won’t be printed at the quality they deserve to be printed at. It kind of goes without saying that the reason these labs are able to offer you such cheap prices is because the paper and ink and printers used are also extremely cheap. I’ve performed comparison prints several times, and always find that budget lab images are grainier, and often very soft/ not as sharp. The worst part is that the colours can look different to what you and I see on our computers/phones! If you are interested in designing an album, or organising prints for your home, but have no idea where to start - what images to print, what size to print them, how to arrange them, how to hang them, if that all sounds overwhelming to you then I’m your girl! 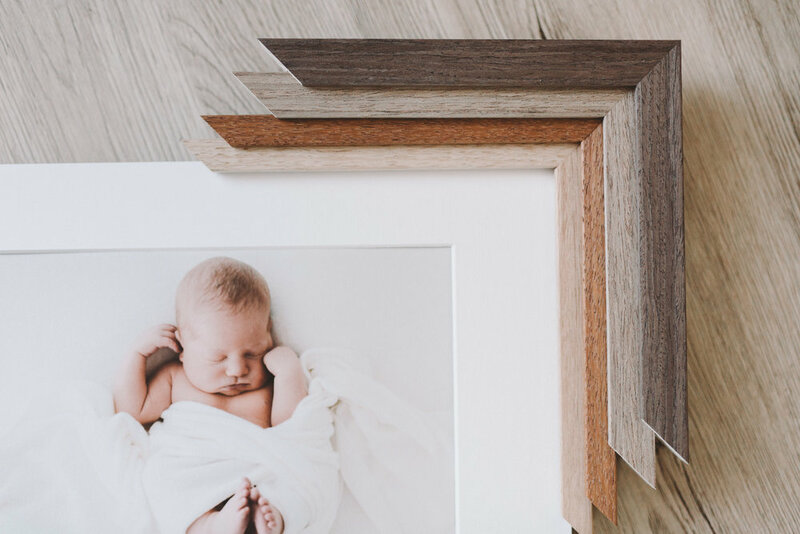 I am partnered with one of Australia's oldest print labs, and can offer you a range of matte and fine art prints, frames and albums to suit your budget and needs. A ful price list is included in every pricing guide.